Will break down rapidly when composted! 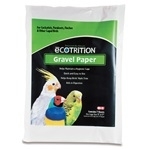 Great all-purpose litter/bedding for birds & small animals! Natural aid to digestion. Containes charcoal and oyster shells to combat common hyperacidity in the stomach. Protects cage floors for easy clean-up. 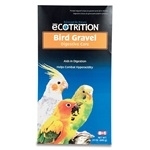 Helps maintain a clean and hygienic cage. Helps trim birds' claws.